Overland Park — Happy Food Co. Happy Food Co. takes the stress out of eating well. 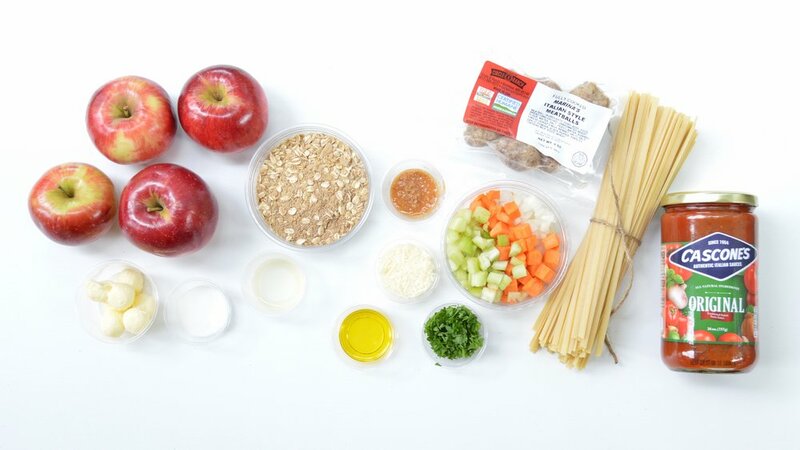 Our meal kits include all the chopped, measured ingredients you need to cook a great meal at home—fast. We're proud to feature fresh, local ingredients in every meal. Our Overland Park shop is open Monday–Friday, 10am–5pm to serve your mealtime needs. Stop by to pick up a fresh meal kit and experience a bold new way to cook at home! Sign up for Happy Food Co. eNews to hear about new meal kits, chef recommendations and local specialties. and enjoy some extra happiness in your day. It’s similar to a farm-to-table restaurant. Items stay on the menu for a while with options rotated based on the seasons. We keep it fresh by adding a menu item every week or two. How are you different from the subscription services I’ve seen? 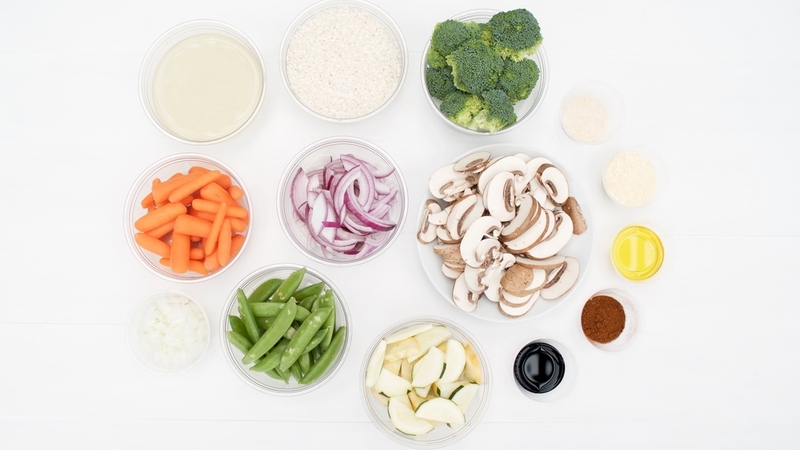 Our meal kit ingredients are chopped/measured, and you can count on accurate cook times. 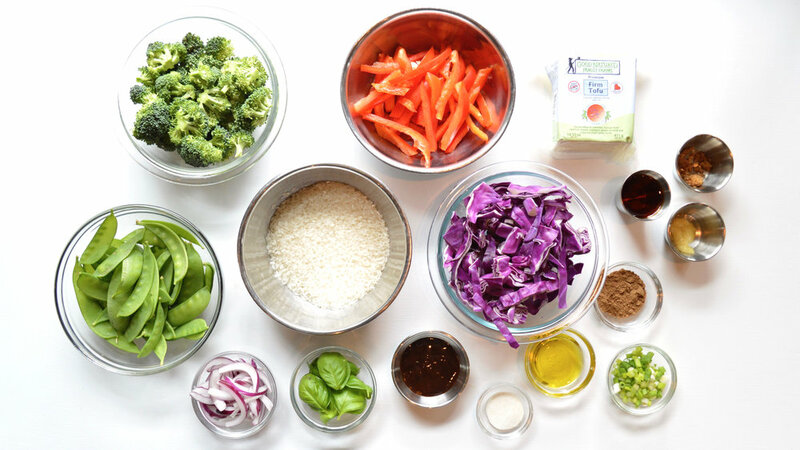 We use local food sources, and our meal kits are available on-demand (no subscription). Though we don’t adhere to any specific diet, our menu is specially designed to strike a healthy balance. Find nutrition facts on our website. Our shop is open Monday–Friday. You can pre-order a meal kit from your computer or phone or just stop by and purchase on-demand. Select the meal kit you'd like to order. Click Cart at the top of the page to complete your purchase. We'll send you an email confirmation, and you can pick up your meal anytime during our shop hours: Monday–Friday, 10am–5pm. What if I need to cancel my meal kit order? Please email us at help@happyfoodco.com, and we'll be happy to cancel your order and issue a refund.